As ground zero, London is maintaining its status as Europe’s leading tech hub. It has witnessed more tech investments than Paris, Dublin, Madrid, Amsterdam and Munich combined over the last year, and is a hotbed of talent, innovation and tech funding. There are several key ingredients that have made it such a great breeding ground for ambitious tech startups, not least a culture of collaboration, where disciplines are colliding and different fields are working together to generate a vibrant and multi-cultural environment. Add to that mix favourable legislation and the continued support of London Mayor Boris Johnson, the capital makes for the perfect stomping ground for tech entrepreneurs wanting to turn their ideas into successful businesses. There is also the fact that Europe is on our doorstep, where many similarly supportive initiatives are also in place and more in the pipeline – not least the recent Action Plan announcement by the European Commissioner to make sources of investment more readily available to entrepreneurs – our neighbouring region would seem a sensible next-step target for UK-based businesses. But for those who are looking to scale, and looking to scale quickly to potentially accelerate their exit-strategy, you might want to consider looking a bit further afield, and heading in the opposite direction. Latin America is witnessing the fastest growth of internet usage anywhere in the world, and it presents a hugely attractive target for UK and other European businesses looking to grow their databases. Brazil alone is the fifth biggest internet market on the planet, with well over half of the population online, and growing 7% year-on-year. Across the continent, there are over 500 million tech-hungry smartphone users hunting for new apps and solutions every day, and from a social perspective it is one of the top five regions for Facebook, Google and Twitter. 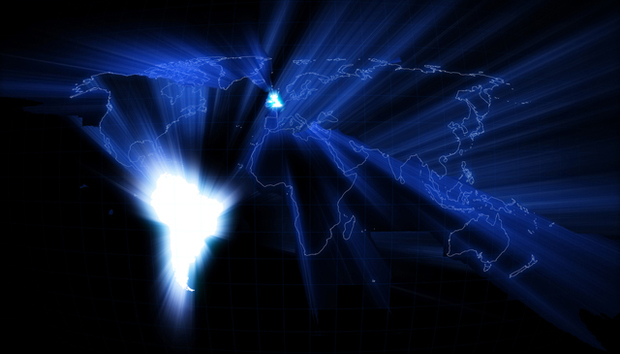 What is remarkable is that the Latin American tech industry is so strong despite experiencing the worst recession in 100 years and, as well documented by the media, an environment where corruption is still rife. According to Forrester, despite a bit of slowdown this year, by 2016 the positive fundamentals such as stabilising economies, smartphone penetration, and investment from major tech companies will click back into that upward trend, sending the Latin American region towards a 4.6% expected growth path. But this global digital giant and potential tech treasure trove doesn’t come without its challenges – not least things like still having a very volatile and unpredictable infrastructure, as well as different legislative issues. The Brazilian Government, for example, introduced two new laws that directly impact the mobile market; the first covering things like Net Neutrality, Data Protection and Data Storage, called the ‘Internet Law’, the other, the ‘Epayments’ law, which defines how digital payments can be made. Perhaps the biggest challenge however is getting in the mindset of consumers, where they have very different needs and habits when it comes to tech. Brazilians and Mexicans, for example, are ‘heavy’ spenders on physical and digital products using their mobiles, according to the MEF Global Consumer Survey. But then don’t for one minute fall into the trap of thinking that Brazilians are happy to part with their hard earned cash – something that is reflected in the fact 78% of smartphone users in Brazil are on Android and only 19 % on iOS. The reason? An iPhone in Brazil costs three times as much as it would in the USA. It precisely because of these nuisances – and making sure businesses have the right insights – that a group of professional services businesses from both sides of the Atlantic have come together to create a bridge network – the ‘LatAm TechLink’ – to help tech companies tap into the huge potential for growth in Latin America, as well those looking to build their businesses over here. It’s all very well and good having a great idea, but tech businesses looking to cross the pond can’t just expect to be able to copy and paste their business model. The way that tech businesses interact with both potential customers and the local economy has to be adapted to reflect cultural and legislative differences. There is no replacement for local know-how and expertise. « InfoShot: IBM Watson to kill off lawyers?